Choosing the right course to study in Malaysia after high school is one of the most important decisions you can make in your life. There are many types of engineering programmes that students can choose from. Students after SPM or O-Levels who are sure of choosing engineering for their degree studies may go for the Foundation in Engineering. If you are still not sure whether you want engineering or other science courses, you may choose the Foundation in Science programme at premier private universities in Malaysia. Students after the external Pre-University Programme such as A-Levels, UEC, STPM, SAM, CPU, MUFY or AUSMAT may enter directly into the Engineering Degree programme with relevant results. Engineering may not be the easiest course to study, but it continues to be in demand in Malaysia and globally. You’re also more likely to find employment quickly and work your way up the career ladder with an engineering degree from a top private university in Malaysia. The key benefits of studying engineering are both financial and prospect based. Financially, the starting salaries are among the best across all industry sectors. The demand for well-qualified, skilled graduates outstrips supply, and companies are struggling to find recruits for vacancies locally and globally. Therefore, graduates have the opportunity to work overseas. Engineering degrees that are accredited by the Board of Engineers Malaysia (BEM) are recognised by overseas countries for work. Students should choose the best university in Malaysia to study engineering so that they can gain the necessary knowledge and skills to be successful in their career. I loved motorsports and EduSpiral gave me great advise to help guide me to achieve my dream. 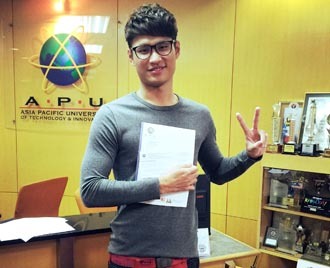 Malaysia’s Top private universities offering the Mechatronic Engineering degree programme that’s accredited by the Board of Engineers Malaysia are Asia Pacific University & UCSI University. Outstanding Malaysian private universities for the Chemical Engineering degree programme are Heriot-Watt University Malaysia, Curtin University Sarawak, Taylor’s University Lakeside Campus, Monash University, Universiti Teknologi Petronas (UTP), & UCSI University. The best university to obtain an Aerospace Engineering or Aeronautical Engineering degree is through UCSI University’s twinning programme with the University of Manitoba, Canada. I went for the EduSpiral Education Fair and gained a lot of information. After the fair, EduSpiral even arranged to take me around for a campus tour, assisted me with application and accommodation as well. Alternatively, students can take Foundation in Science programmes at Top private universities to enter engineering degree programmes. Premier universities in Malaysia offering Foundation in Science programmes are Heriot-Watt University Malaysia, Taylor’s University, UCSI University and HELP University. Leading private universities and colleges in Malaysia offering the Diploma in Electrical & Electronic Engineering are UCSI University, Asia Pacific University, KDU University College Utropolis Glenmarie, KDU Penang University College, APIIT, First City University College and HELP College of Arts & Technology. Which Engineering Course is the Best to Study in Malaysia? 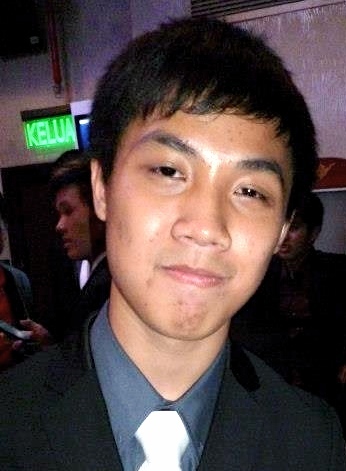 My mom contacted EduSpiral to ask his advise with regard to my results & where to study. He met us at the university to guide us and even obtained a partial scholarship for me. Students should choose your engineering field by passion. Ask yourself, “What gets me excited? Projections may show a future demand in certain engineering fields, but do you want to work very hard for the next four years in order to get a job in an area you don’t really like? Students should identify your true interests. Do you like tinkering with devices? Mechanical engineering or mechatronic engineering are good choices for you. Are you passionate about solving the energy crisis? Then you might consider petroleum engineering, chemical engineering, or electrical engineering. And if you spend all your spare time writing code, computer science is an appropriate career path. Choosing to study in an engineering field that you have passion in, will make you more likely to succeed as you would be willing to put in the hard work needed to be an expert in your field. Don’t worry I know it is very difficult for you to give the answer so I am here to help you to know your interest in a particular engineering field of study. It’s very simple just give the answer of some question and then decide yourself that which branch do you like most or which branch suited to you according to your interest. We will discuss so that you can choose the best engineering field to study according to your interest. Engineers use computer technology and mathematical models to work out the solution to structural, or mechanical problems. In an engineering degree course in Malaysia, students will spend time in the laboratory or use computers to understand how to solve problems. You will also have the opportunity to apply your theory to real-life projects through case-studies and internships. Engineering degrees are extremely varied and can focus on particular parts of the engineering industry or just a general overview of the technical processes. Whichever degree you choose to study, you will graduate with a host of transferable skills that will enable you to work in a variety of industries. specific so that their job prospects are wider. If you choose a course such as aerospace engineering, your job scope is only limited to the aerospace industry. A degree in mechanical engineering or mechatronic engineering would provide you the opportunity to work in the aerospace industry as well as other industries. Engineering students will gain skills such as project management, analysis and your practical experience act as great foundations for careers in other industries. It isn’t uncommon to find top quality engineers in banking, politics and financial sectors. Many graduates do not work in the field that they graduate in. This is normal. Before starting your career in engineering it is important to know which engineering field you would like to specialise in because of the variety of sectors within the engineering industry. If you are certain of what type of engineer you wish to become, you should study a degree which focuses specifically on that field of study. If you are not sure, that is still alright as students after SPM or O-Levels can take the Foundation course at a reputable private university for one year. During that one year, you should talk to the seniors and lecturers to figure out which engineering field best fits you. need at least 5 credits including Maths and Physics (Chemistry for Chemical Engineering) and pass in BM and Sejarah. With 3 credits in SPM including Maths and a Science subject, students can join the Diploma in Engineering course before entering into Year 2 of the Degree course. There are a wide variety of specialisations, and the more popular engineering fields in Malaysia are listed below for you to browse through. Note that only 4-year engineering degree programmes can be accredited by the EAC, not 3-year degrees. Therefore, when you choose the university to study at, you should look at the programme structure, facilities, lecturers’ qualifications, number of years offered at the university, and the experience of the university. All graduate engineers must register with the BEM to practice engineering in Malaysia.Having an EAC accredited engineering degree is the prerequisite for registration. The Public Service Department (JPA) would only allow graduates from the EAC accredited programmes or those recognized by EAC to join the public service. Only programmes accredited by the EAC would be allowed to be offered at the institutions of higher learning in Malaysia, be it at public or private institutions. First introduced in 2007, SETARA focuses on the quality of the teaching; it also gives some power back to the students by involving appraisals by students who will audit lecturers on several points including punctuality and satisfaction on the delivery of subjects. The Malaysian Qualifications Agency (MQA), responsible for quality assurance of higher education for both public and private sectors, has released the results of its latest Discipline-based Rating System or D-SETARA. The new rating system is different from SETARA. The former categorises universities as a whole using a tier system based on the Malaysian Qualifications Framework whereas D-SETARA assesses the quality of teaching and learning of a certain field of study only. Malaysian students can obtain a top ranked UK degree at Heriot-Watt University Malaysia. Heriot-Watt University’s is ranked by the Times Higher Education World University Ranking – 22nd in the world for ‘International outlook’ while the Times/Sunday Times Good University Guide 2015 ranks them 41st in the UK and sixth in Scotland. Heriot-Watt University also moved up slightly from 369th to 352nd in the overall QS World University ranking and are 40th in the UK (up from 42nd). Heriot-Watt University’s Ranking in the Guardian University Guide 2016 is 18th in the UK and 2nd in Scotland. It ranks Heriot-Watt University 3rd for Electronic and Electrical Engineering, 17th for Chemical Engineering, 2nd for Civil Engineering and 10th for Mechanical Engineering. Heriot-Watt was ranked fourth in Scotland in the 2016 Complete University Guide and 37th in the UK. It ranks Heriot-Watt University 5th for Chemical Engineering, 9th for both Civil Engineering and Electrical & Electronic Engineering. University Sarawak’sengineering degrees are accredited by the Board of Engineers Malaysia (BEM). Curtin Sarawak is the largest international campus of Western Australia’s Curtin University and was the first foreign university campus to be set up in East Malaysia. Located in Miri, Sarawak, it offers students an international and cross-cultural learning environment in a unique Malaysian setting. It boasts a 1000-acre purpose-built garden campus with stylish architecture and state-of-the-art facilities. Additionally the university has IT linkages to allow students access to the Curtin resources at the main campus in Perth. Students after SPM or O-Levels will enter into the Foundation in Engineering & Technology at Curtin University Sarawak before pursuing the above mentioned engineering degree programmes. Taylor’s University is a top ranked private university in Malaysia. Taylor’s University was voted the Most Popular Private College and / or University in Malaysia for two consecutive years (2008 and 2009), and is rated ‘Tier 5: Excellent‘ by the Ministry of Higher Education (MQA SETARA 2013). Taylor’s University is also ranked as one of the Top 250 universities in Asia by QS University Rankings: Asia 2015. Taylor’s University’s School of Engineering offers comprehensive engineering programmes that are affordable yet with highly innovative training methods that rival some of the most prestigious foreign degrees. All these factors work towards enhancing the School’s reputation not just among Asian students but from across the world. Taylor’s University School of Engineering is also an official collaborator in the ‘Conceiving – Designing – Implementing – Operating’ CDIO™ Initiative alongside famous institutions such as Massachusetts Institute of Technology (MIT), California State University, the University of Sydney and University of Auckland. Taylor’s University is the first and only Malaysian University that has, thus far, been accepted into this initiative, which is an innovative education framework for producing the next generation of engineers. Foundation in Engineering: Students after SPM who are sure of taking the engineering degree programme may go for the 1 year Foundation in Engineering at Taylor’s University. As part of their course of study, students will be exposed to an innovative and technologically-driven programme that employs digital tools to enhance teaching and learning. If you are unsure of whether engineering or other science programmes, you should go for the Foundation in Science. Foundation in Science: This is a flexible programme that exposes students to core principles in science, providing them with the knowledge and skills to pursue undergraduate programmes in engineering science or health science. Bachelor of Engineering (Hons) in Chemical Engineering: This programme is aimed at students who are keen to learn about the design and operation of processes basic to human survival – such as food, fuel, medicines, plastic etc – and the professional engineering skills needed to turn these chemical, biological and physical processes into safe and sustainable industrial practice. practical problems using electrical science, Electronic Engineering is the handling of these electrical or optical signals while Electrical Engineering deals with the use of electricity as a source of energy. After completing one–two years of this 4-year programme at Taylor’s University, students have the option to transfer to several universities across the world, such as those in the UK or Australia. Bachelor of Engineering (Hons) in Mechanical Engineering: This field is the most broad-based of the engineering professions. Its exponents are involved at some stage in the conception, design, production, finance and marketing of all manufactured goods from the largest power station, space craft and car plant to the most delicate mechanisms required for scientific instruments; for example, heart valves and micro-surgery. UCSI University is rated 4 in the D-SETARA for Engineering while overall in the SETARA 2013 ranking, the university achieved a rating of 5 or Excellent. UCSI University’s engineering degrees are accredited by the Board of Engineers Malaysia (BEM). After SPM or O-Levels, students may enter into the Foundation in Science at UCSI University before continuing on to the engineering degree programmes. With 3 credits in SPM, students may enter the Diploma in Electrical & Electronic engineering and then upon completion continue on to the degree with exemptions. Students with 5 relevant credits in SPM or O-Levels can enter the Foundation at Asia Pacific University for 1 year before continuing on into the 4-year engineering programmes. 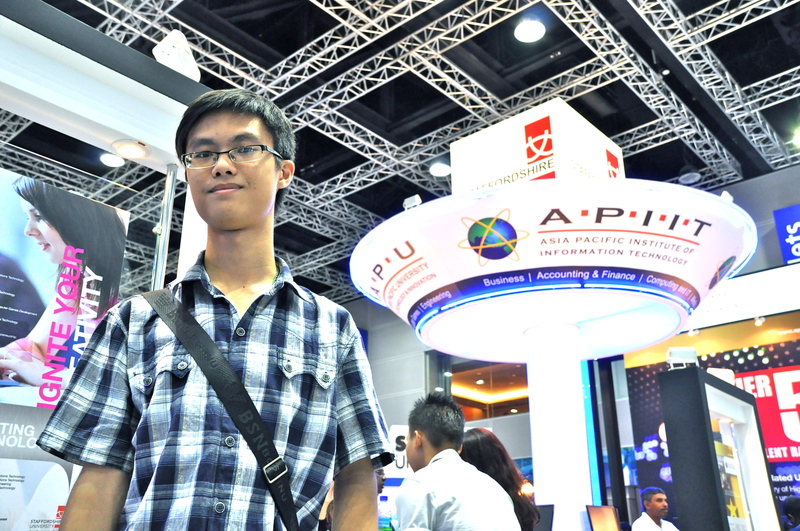 With at least 3 credits in SPM or O-Levels students may enter the Diploma in Electrical & Electronic Engineering at Asia Pacific University before continuing on to the degree programmes with exemptions. Engineering programmes at KDU University College Utropolis Glenmarie are designed to prepare graduates with everything necessary to face the new industrial economy around the globe. With high quality programmes that adhere to the strict standards set by the Board of Engineers (BEM) Malaysia, students can expect a curriculum that is design-centric and trains them to hone their complex problem-solving skills. Students will also experience valuable hands-on experience by participating in real-world projects, and have the opportunity to become a research assistant at an undergraduate level through our undergraduate research scheme. With the goal of ensuring a holistic learning experience, KDU’s programme allows you to cultivate the skills, knowledge, and the ability to develop engineering applications which are required for a wide range of professional engineering careers and expected of leaders in business, engineering, industry and even in R & D. Students after SPM or O-Levels with 5 credits can enter the Foundation in Engineering at KDU University College Utropolis Glenmarie and then into the 4-year degree. With 3 credits in SPM or O-Levels students will enter into any of the engineering diplomas at KDU University College and then upon completion may continue on to the engineering degree with exemptions. What will a degree in Engineering cost at a top private university in Malaysia? After starting class at college, I was still confused if the course suited me. I took a bus from Seremban to meet up with EduSpiral for counseling. I have a clearer picture of what to do now. cost in terms of tuition fees, and you should talk to your parents about how much they have set aside for your studies, as this will go a long way into funding your engineering study adventure. As a general rule, and again, this depends on a lot of factors, you can expect a cost of around RM80,000 to RM180,000 total for the tuition fees for 4 years. You should be able to get help and advice on living arrangements from EduSpiral and the cost of living very much depends on which city you choose to study in. Most universities will have on-campus accommodation and off-campus accommodation. It’s simply a case of looking into your options and your preferences. As you can see, choosing engineering as your career means a lot of decisions to make, not only regarding the road you see your future career going down, in terms of the type of engineering you want to specialise in, but also the general things about studying abroad, such as the single most important one – which university?! Studying engineering abroad will leave you with a precious degree, and also highly important life experience and confidence to match. This is probably one of the most important, and best, decisions you’ll make in your life, so make it wisely. I talked to EduSpiral on WhatsApp and after obtaining all the necessary information. EduSpiral met me and my parents at Heriot-Watt University Malaysia to take us around for a tour. Undergraduate degrees from top private universities in Malaysia typically take four years to complete and give you a broad understanding of the subject field, as well as developing your theoretical and practical techniques which could be transferred to almost any industry. UK engineering bachelor degrees are 3 years in duration and the 4th year is the M.Eng. or Master in Engineering. The engineering degree programmes from Curtin University Sarawak, Heriot-Watt University Malaysia, Asia Pacific University, Taylor’s University, UCSI University, and KDU University College Utropolis Glenmarie are four years in duration and are accredited or pending accreditation by the Board of Engineers Malaysia (BEM). The engineering degrees are four years in duration because of the requirement by the Board of Engineers Malaysia (BEM) in order for graduates to become professional engineers. UK Engineering undergraduate degrees are offered as BEng or MEng, with the latter taking four years of full-time study. A BEng takes three years to complete and graduates are still able to find work without any problems. However, in order to become a professional engineer in Malaysia, a four-year engineering degree is required, therefore, graduates with a UK BEng degree will need to take a top-up and obtain the MEng. and continue on for another year to obtain the MEng. Therefore, will be allowed for registration with BEM. Students who go for the 3-year engineering programmes at KDU University College Penang and First City University College (Formerly known as KBU International College ) obtain a BEng (Hons) degree and have no problems finding jobs and are pursuing successful careers. In Australia, the Bachelor of Engineering (BE) is a four-year undergraduate course. All of Curtin University Sarawak’s engineering degree courses are four-years in duration and are accredited by the Board of Engineers Malaysia (BEM). The Institution of Engineers in Australia accredits degree courses and graduates of accredited courses are eligible for membership of the Institution. Even if you decide to work in an industry other than engineering, the skills and knowledge acquired within an engineering degree will be easily transferable. What is the Board of Engineers Malaysia (BEM)? The Board of Engineers Malaysia (BEM) registers graduates and professional engineers under the Registration of Engineers Act 1967 (Revised 2002). The requirement for registration as a graduate engineer is a degree in engineering recognised by the Board. Board of Engineers Malaysia (BEM) is the only body certifying Professional Engineers in Malaysia. This regulatory body for engineering practices in Malaysia was set-up by the Malaysian government under the Registration of Engineers Act (1967) to administer and to enforce the Engineering Act and its provisions to protect public interest. Only Graduate Engineers and Professional Engineers registered with the Board of Engineers, Malaysia (BEM) are entitled to practice engineering in Malaysia. All engineering practitioner MUST register with BEM within 6-months of practice. A professional engineer (Ir or PEng) is a person who is licensed to practice to practice engineering in Malaysia after meeting all requirements of the (e.g. pass PI Examination). A pass in Part I & part II of the Engineering Council Examination of United Kingdom or Part I & Part II of the IEM/BEM Graduate Examination in any particular branch for qualifications that is not branch for qualifications qualifications that is not accredited/recognized by BEM/IEM. An engineer who has just graduated with a recognised qualification must register with the Board of Engineers Malaysia. He/she can then start to obtain the necessary training and experience, normally four years, before he/she can attempt to sit for the Professional Interview, an exam to qualify Graduate Members of IEM to be transferred to Corporate Members. Corporate Members of Institution of Engineers, Malaysia (IEM) can then apply to upgrade their status to P.Eng. with the Board of Engineers Malaysia. Asia Pacific University (APU) is ranked Tier 5 or “Excellent” in the SETARA 2013 rating by MQA. APU is now operating at its new iconic campus at Technology Park Malaysia, Kuala Lumpur. After graduation, an engineer needs to register with Board of Engineers Malaysia to be a graduate engineer. After a few years of practical experience (supervised by a professional engineer), the graduate engineer can apply to sit for Professional Interview (with IEM). If he/she passes the Interview, he/she can apply to Board of Engineers Malaysia (BEM) to be a Professional Engineer that entitles him/her to use the title Ir. Engineers Act 1967 requires every engineer to be registered with the Board of Engineers, Malaysia (BEM). Graduates from recognised degree programmes shall be registered as Graduate Engineer to work as an engineer. Practical training of more than 3 years is required for application to sit for Professional Interview (PI). A PI candidate will be required to show that he can apply theory in engineering projects, and has acquired the skills of investigation, planning, and design. Upon passing the PI, the candidate can then apply to BEM for registration as a Professional Engineer. Why become a professional engineer in Malaysia? If you ever want or need to become a consulting, engineer, you must be licensed as an Ir or P.Eng. Only a Ir/P.Eng. can sign and seal engineering documents that are engineering documents that are submitted to a public authority or for public and private clients. Many companies encourage licensure and some even pay a bonus for becoming a P.Eng. In education, more universities are requiring a Ir/P.Eng. license to lecture in the engineering faculty or for holding certain positions. In some industries such as utilities, and government positions, a P.Eng. is required for specified jobs or positions. What is the the Washington Accord? equivalency of engineering degree programmes accredited by the responsible bodies in each of the signatory countries such as the Board of Engineers Malaysia (BEM). Washington Accord is an agreement among the engineering quality assurance organisations of several nations that recognises the substantial equivalency of programs accredited by those organisations. The agreement paves the way for mutual recognition of accredited programmes, establishing the notion that graduates have met the academic requirements for entry to the practice of engineering in any signatory country. Signatories have full rights of participation in the Accord; qualifications accredited or recognised by other signatories are recognised by each signatory as being substantially equivalent to accredited or recognised qualifications within its own jurisdiction. Admission to the Accord is more importantly an endorsement that the engineering education system of the member nation has demonstrated a strong, longterm commitment to quality assurance in producing engineers ready for industry practice in the international scene. will be accepted by other Washington Accord signatories. This means that students who study in universities with engineering degrees that are accredited by MQA and Board of Engineers Malaysia (BEM) may find work in other countries that have signed the Washington Accord. Board of Engineers Malaysia (BEM) uses as a guide the list for Professional/Chartered Engineer by the accreditation organisations of the country where the degree is issued. Candidates are advised to check with the relevant Engineering Accreditation bodies’ web site for the list recognised degrees of professional chartered level. However, Board of Engineers Malaysia (BEM) reserves the right to review the list at any time without notice. After explaining in detail, EduSpiral took me & my parents to tour the campus & helped with the scholarship application. represented by responsible bodies. The Washington Accord is a small group of signatories that have agreed to mutually recognise accredited engineering programmes. Members of The Washington Accord are Hong Kong, South Africa, Japan, Singapore, USA, Canada, New Zealand, Australia, UK, Ireland, Taipei, Korea, Malaysia and Turkey. The Board of Engineers Malaysia (BEM), The Institution of Engineers Malaysia (IEM) and Association of Consulting Engineers Malaysia (ACEM) develop and use the EMF Register as a secure benchmark that allows a professional engineer to be recognised or exempted from licensing or registration in other countries (other than that in which they first gained recognition). Eligibility for admission to EMF International Register of Professional Engineers Register is limited only to engineers who have completed an accredited or recognised engineering programme, registered with the Board of Engineers Malaysia (BEM) and is a corporate member of the IEM who is capable of independent practice. Maintained their continuing professional development at a satisfactory level. Established since 2009, EduSpiral Consultant Services helps provide information and counselling on courses and universities in Malaysia and Singapore. After chatting with EduSpiral on Facebook, I got a clearer picture of which university to choose that would best fit me.